Methi seeds are widely made used in Indian kitchen and also the leaves of fenugreek. 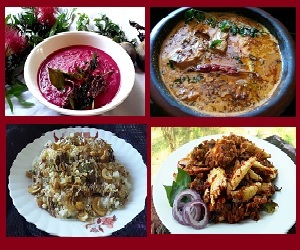 Fenugreek leaves are very well known for their anti diabetic properties but due to its bitter taste, it is mostly avoided by children and even by grown ups. 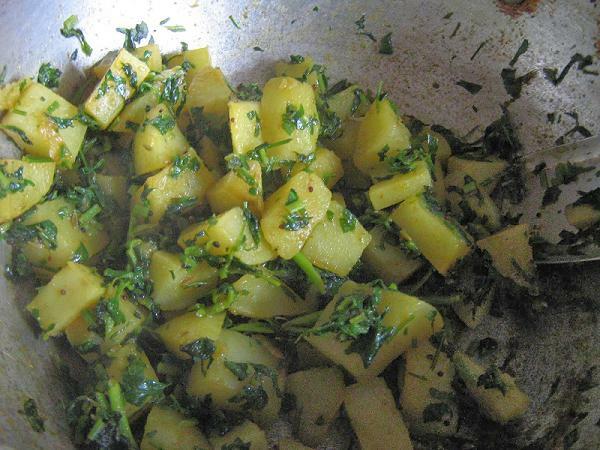 But when mixed with some other vegetable like potato, the taste becomes wonderful. 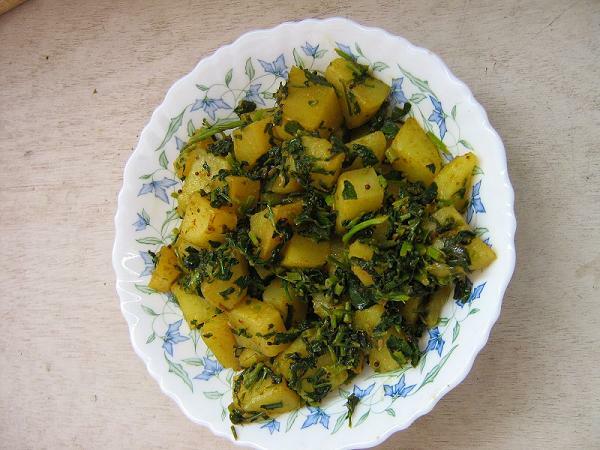 So today, I have made aloo methi which is a dry vegetarian side dish and is mildly spiced so that it can be enjoyed by people of all ages. Hope you will enjoy it. Now to the recipe..
1. 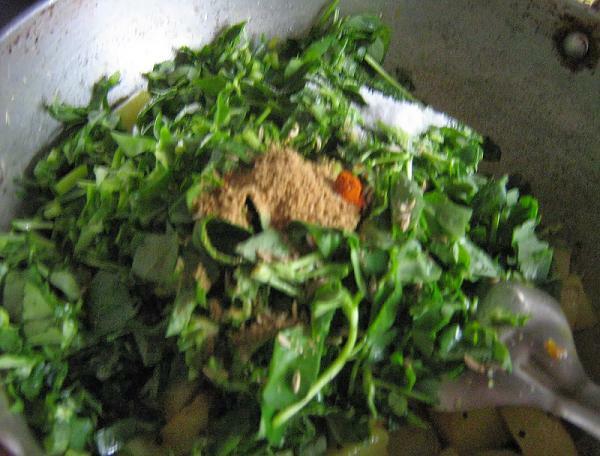 Chop methi leaves finely. Discard the stem if it is very thick. 1. In a pan heat oil, add mustard seeds. Wait till it splutters. Now add asafoetida powder. 2. 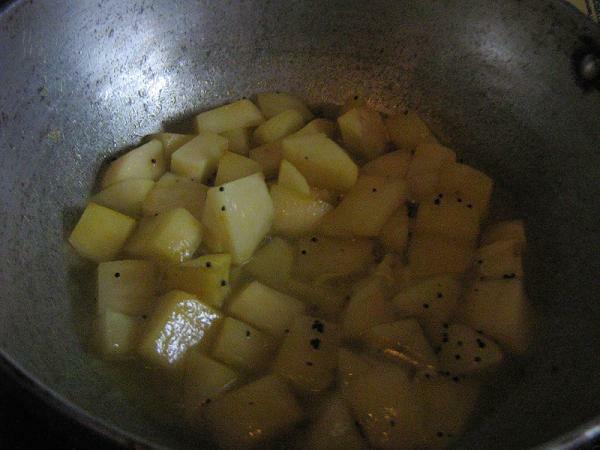 Then add peeled and diced potatoes, turmeric powder, salt and little water. Bring water to boil. Then turn the gas to sim and cover the pan with a lid. Wait till the potatoes get cooked. Stir inbetween to avoid sticking to the bottom of the pan. 3. 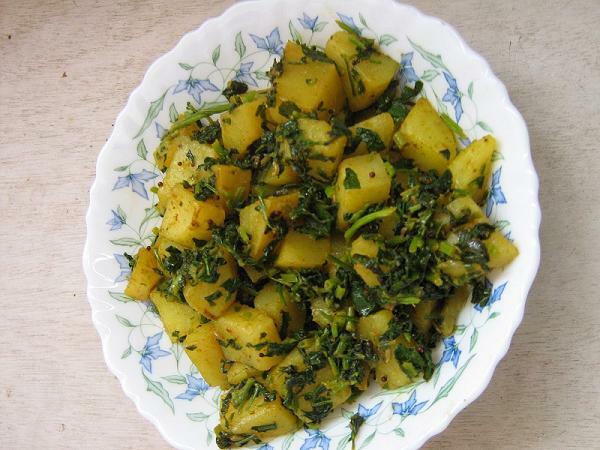 Once the potatoes are cooked properly, add the chopped methi leaves, red chilly powder, fennel seed powder and coriander powder. Combine everything well. Cover the pan with lid and cook again in sim for another 5 minutes. 4. Turn off the stove. To this add lemon juice, sugar and mix well. 5. Garnish it with chopped coriander leaves. 1. Fenugreek has very high medicinal properties. 2. It contains proteins, vitamin C, potassium, iron and alkaloids. 3. According to various studies, fenugreek also helps to reduce cholesterol and thus reduces the risk of various heart diseases. 4. Fenugreek is beneficial for diabetic people as it helps to reduce blood sugar . 5. It also aids in digestion.